Even before I say it, you know the three scariest words in the English language. You just got a little scared when you read that, didn’t you? A twinge in your gut, a shiver in your heart. Can we talk? Are you about to quit? Break up with me? Give me critical feedback that will stain my confidence for years to come? Even if you are the kindest person alive, “Can we talk?” prompts anxiety because it represents the first real sign of addressing conflict. 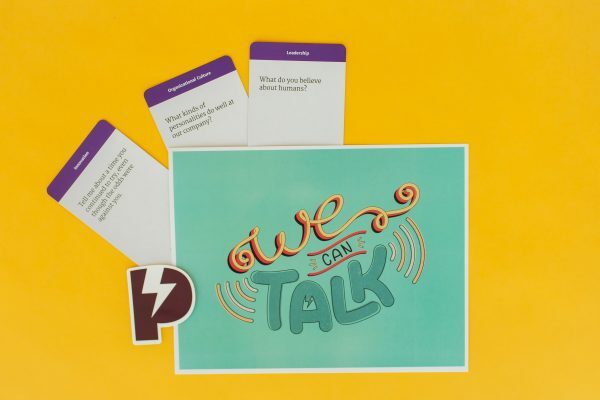 Strong leaders (and, frankly, strong adults) are not only able to prompt the question “Can we talk?” but also have graceful and calm ways of receiving this question. Person: I know you’re busy today, but if you have a second, can we talk? Strong Leader: (slightly taken aback, yet still badass) Hm! Sure we can talk.. let me peek at my calendar… how’s 2pm? Maybe we can take a walk for a coffee? Cultures that empower “we can talk” are hard to come by. Though folks above us on the org chart will say they’re open to feedback on paper, we may find them rigid and intimidating in person. Though our partners and parents and best friends tell us we can talk about anything, we often find them the most daunting audience of all. Your hesitation is normal. Your anxiety is classic. But avoiding hard conversations is, quite simply, amateur. 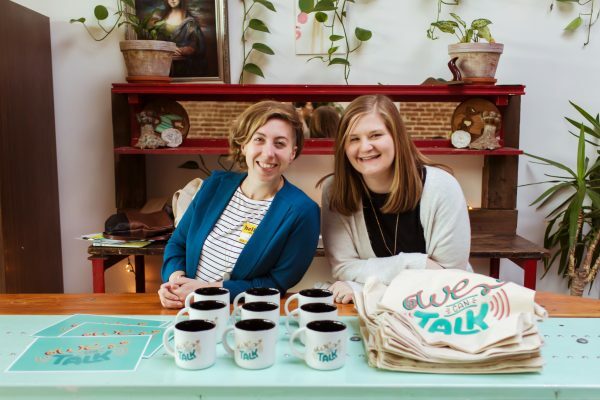 In my 5+ years of running Plucky (and infinite human conversations external to that), I can tell you one thing for certain: the strongest among us cultivate a culture of “we can talk.” And though it is hard, they come back to it again and again, confirming their openness to navigating conflict and courage in listening. I’ve thought about this a lot. I’ve spoken at conferences about hard conversations, I’ve taught workshops about listening… and all the while I had this idea in the back of my head. It started with a mug. 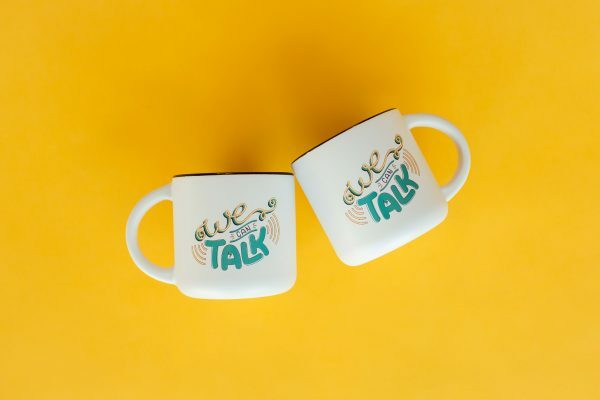 What if managers skipped the “World’s Best Boss” mug and had a mug that said “We Can Talk” instead? How amazing to passively share this value and courage with those around them? And then I imagined tote bags, folks carrying their stuff in subways and at grocery stores and through airport security. “We Can Talk,” marching through busy stairwells, a gentle reminder that courageous listeners are out there, particularly during this challenging period in America. Finally, a print, a piece of artwork that could be hung in conference rooms or WeWork phone booths or next to desks, a tangible sign that here, in this work space, we value listening. 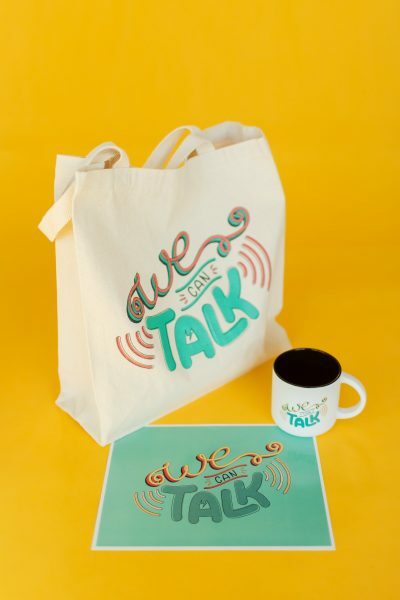 Working with a fantastic graphic designer last fall, we came up with our latest Plucky merch, the We Can Talk series. 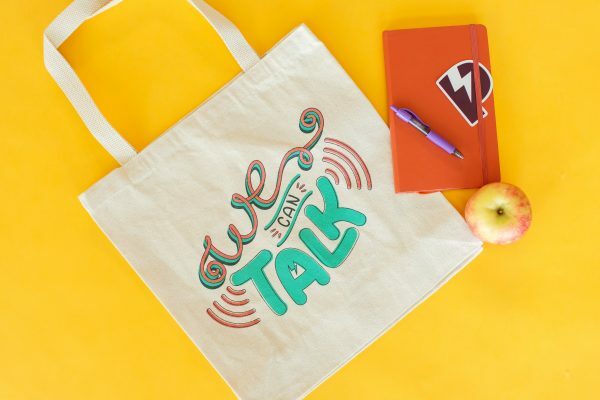 We believe that modern managers need modern tools - and sometimes those tools are books or TED talks, but sometimes they are also 1:1 card decks or tote bags.